Time is this month's theme on City Daily Blog this month. Here's something from the past - still here. 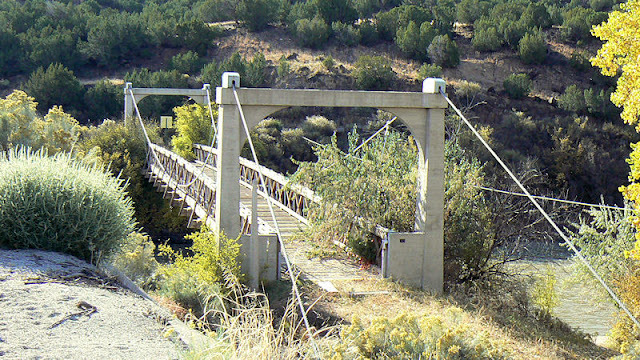 The Otowi Bridge over the Rio Grande has a history since 1924 when it was built. Thanks for including the history of it. Looks like a cool place to explore, if it's safe enough to walk over.